Much as many may think wrinkles only appear in their 50s and above, many find themselves struggling with eliminating aging signs as early as 27 years. Aging signs appear differently in women and at times, premature aging is stimulated by personal habits or poor lifestyle that can reduce blood supply to the skin and so on. Some dermatologists believe that acquiring anti-aging skin treatments is the best option for premature aging, but other factors may also matter when it comes to eliminating it. The skin is made up three layers and actually aging affects both of them. That is why some skin treatments are preferred to others since they are seen as the best solution to extreme aging. Effective skin care tips can promote long term youthful facial appearance and that is done through our everyday life. Smoking, pollution, sun exposure, alcoholism, drug abuse, and poor diets are the leading stimulators of aging. Living a happy life by reducing stress and depression can also slow down aging that leads to the formation of the wrinkles. Wrinkles are part of aging which is a sign that one is advancing in age unlike in premature aging. Wrinkles are natural creases or ridges that can appear on any part of the skin, most commonly observed on the face and the hands. It is the immediate sign of aging, but thanks to the modern skin treatments that makes it possible to eliminate them. If you were to develop wrinkles in the next 3 or 7 years, consider the following to extend that time by 2 or 3 years. HERE WE GO! Sleep is vital for general health and once you begin compromising with your sleep just know that you are affecting your natural beauty. Women who sleep alot always maintain a youthful appearance despite their complicated lives or stress. Much as you may head to the beach for natural tanning, remember that sun damage is a leading cause of wrinkles. Using sunscreen before you head out to the sun will reduce the effect of the sun your skin that also causes depigmentation. Also remember that the UV light reduces the collagen and the elastin fibers that form the connective tissue of the skin. At the end, the skin natural structure and muscles are weakened, leading to wrinkle formation. There are various cosmetic products that many women use as per their skin conditions forgetting the toxins or dangerous chemicals that harm the skin. Cosmetic products consisting of parabens, phthalates, triclosan, toluene among others must be avoided. 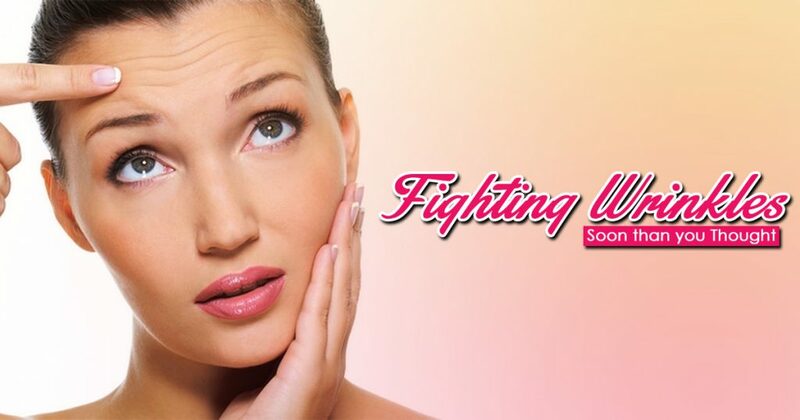 Rather than these cosmetic products, opting for Laser Wrinkle Treatment in Phagwara is an ideal decision. Also, inquire from the dermatologist about the harmless and effective skin treatments for your particular skin. Natural or organic foods will maintain the natural and youthful appearance of your skin. Fish, eggs, a variety of fruits, raw vegetables, dahi or yoghurt, green tea, orange or lemon peels, and dark chocolate are ideal food stuffs for the skin. Remember to take lots of drinks, most especially water. Moisturizing your skin and Taking regular baths and Moisturizing your skin are also effective ways of keeping your skin clean, hydrated and healthy.